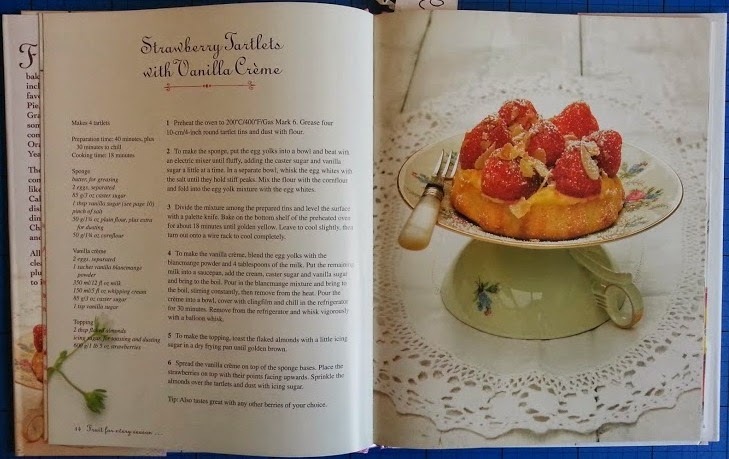 It's a little out of season, but this month Parragon Books have sent me the Baking With Fruit cookbook to review, and the recipes are so lovely it's nice to have a reminder of Summer and Autumn while the Crocus and Daffodils are in bloom. 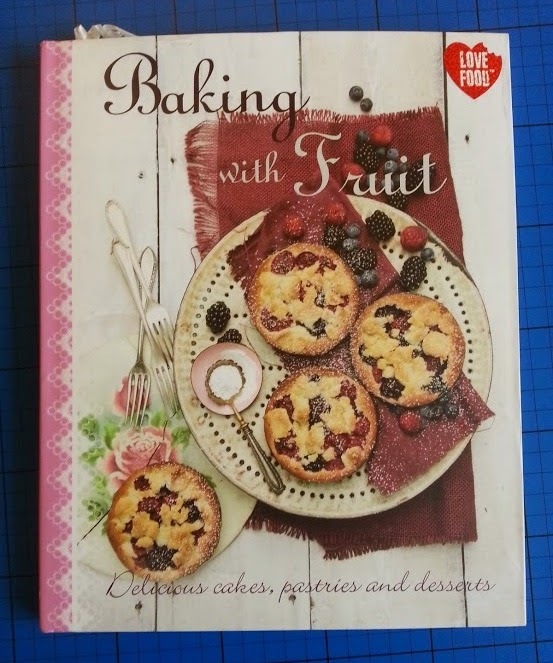 Baking With Fruit is one of the latest books in the Love Food series, and has over 40 recipes with clear and concise instructions and photographs. 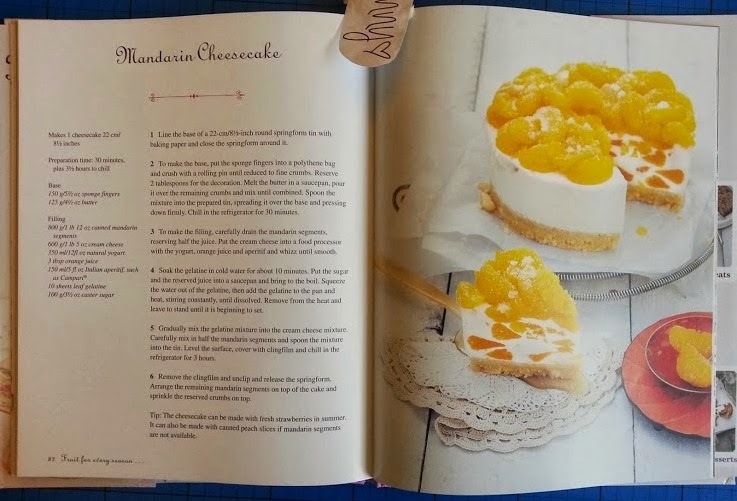 The recipes are lovely, there is real variety - cheesecakes and pies, cakes and clafoutis among others. I've cooked two recipes from this book and I'm very impressed with both. I chose two recipes using berries, expensive at this time of year and a rare treat. 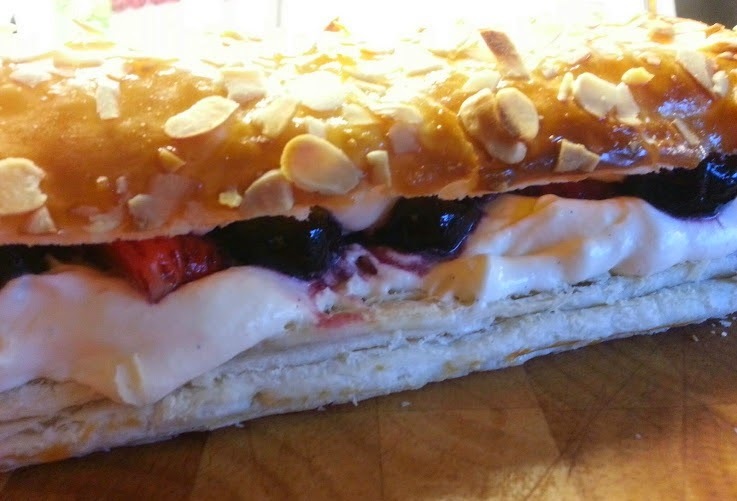 My second recipe from Baking With Fruit was the Meringue and Puff Pastry Slices With Berries (page 33). This was a more complicated recipe, but again the instructions are clear and simple and I really feel even someone who hasn't much experience of baking could recreate this dish with no problems. 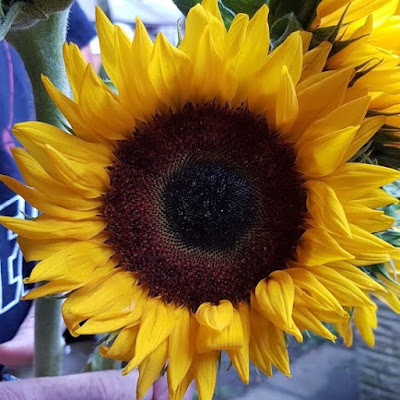 For the full recipe and instructions click this link. Baking With fruit is published by Parragon Books in hardback. With over 40 recipes and 96 pages, it has a recommended retail price of £8. Yummy! I love fruit in pastry dishes! Those blackberry crumble things look amazing. This book sounds great. I don't cook or bake with fruit very often as I'm never sure what to do! 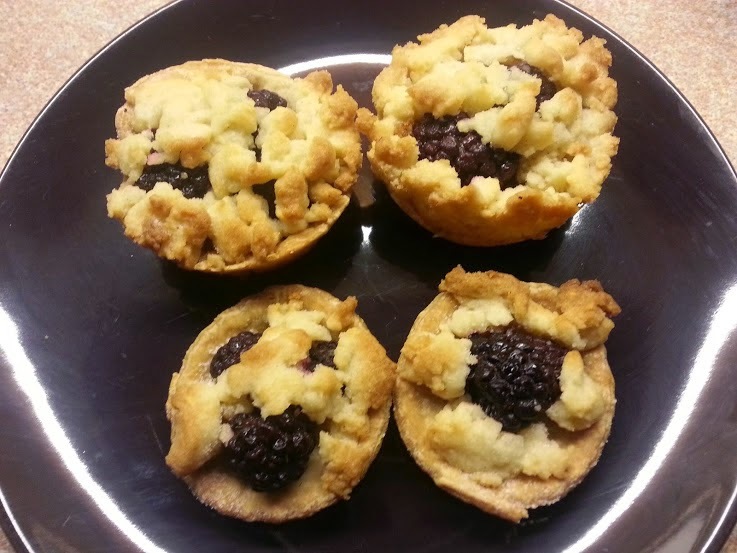 Love the look of those tarts with the crumble topping. This looks like my kind of book!! I love this book! It's so wonderful to get fresh fruit incorporated. And I haven't tried these two.... might just go off to the kitchen! :D I must say I've had a good few requests from this book! I've got a few Love Food recipe books, I really like their simplicity, that pudding looks lush. can i come to your house? love to try them!